Lets start with the condensing unit. The condensing unit is the heart of the beer system. If it isn’t reliable you are risk of having hot beer and a pub with no beer is about as useless as…well, you get the picture. We still find older pubs that are still running on an open drive condensing unit like this one below. If you have an old unit like this, its time to look at upgrading! These units could be as old as 20 years which in a way is a testament to how good they were in their day. However condensing units have come a long way. These old open drive condensers where notorious for throwing drive belts at the worst possible time. We also would find that worn belts would squeal when the compressor started. To stop the squealing the pubs yardie would tighten the belts, inadvertently putting too much pressure on the shaft seal and that would then fail, with the entire gas charge being lost. Phew! Thank goodness for technology. These days we have packaged condensing units available with either Semi hermetic, recipricating or scroll compressors. No more shaft seals or failing belts make for improved reliability. Add in a complete system of electrical components including pressure controls and motor starters and it’s easy to see these units can provide worry free operation for many years. 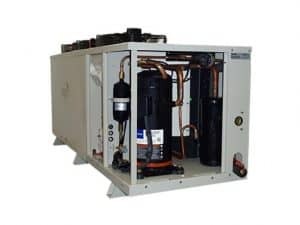 The condensing units feed a superchiller (also known as chiller or beer chiller) with refrigerant where glycol is refrigerated to, depending on the overall system design, between minus 1 to minus 3 degrees. Again, systems vary but it is this cold glycol that then chills the beer as it flows through different types of heat exchangers before it is finally poured from the font on the bar. 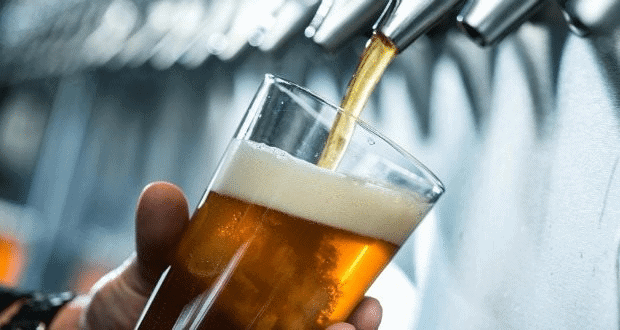 If you have ever wondered why the fonts these days are covered in ice, it is due to the fact that the glycol is sub zero in temperature and it is passed through the font to make sure that the very last drop of beer is cold as it leaves the tap. If your beer has started to pour frothy, have a quick look at the temp controller and see if it is maintaining temp as good as it normally does. If the temp is good but the beer flow rate is too slow, frothy etc we would recommend you call your Beer technician who is usually part of the brewing company who looks after you. If you don’t have a guy, call us anyway as we are happy to help but initially we don’t like to interfere with your beer suppliers due to warranty requirements and service agreements etc. Next, check that the glycol pump seems to be working properly. 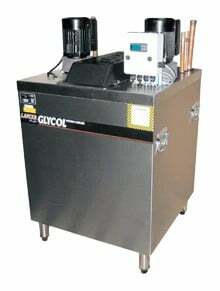 If it isn’t working the perfectly cold glycol won’t be pumping through the heat exchangers and fonts. If you are lucky there will be an auxiliary pump on site to act as a backup. If you are not sure if it is working or not call us out and we can diagnose and replace any pump on the market. If the temperature on the superchiller is higher than normal, this is your first indication that there could be a problem with the refrigeration system. It could be short of gas, have a failed condenser fan, dirty condenser coil, blown solenoid valve or temp controller. 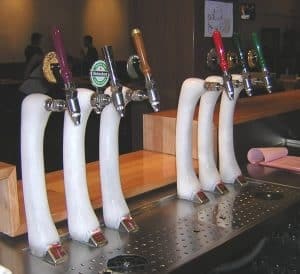 We generally have these parts in stock and should be able to get you back serving cold beer quite quickly. 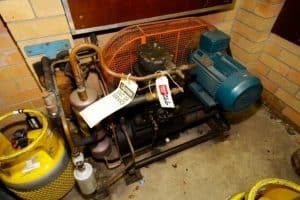 Even if it is a dead compressor, we have a network of suppliers across Perth who will have one on hand, offering a timely turn around.